Just this morning we learned that readers, listeners, and commenters over at r/fantasy have voted Writing Excuses as Best Related Work for the 2015 Stabby Awards. 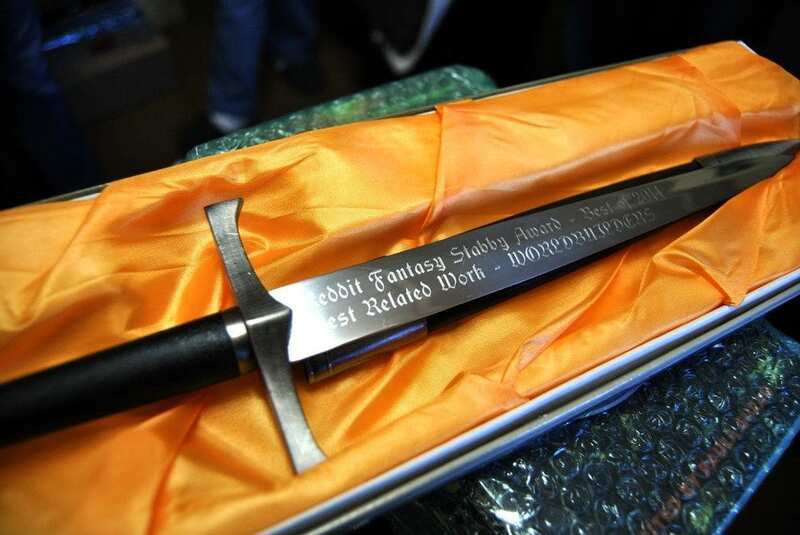 The trophy is an actual stabby thing. We’re honored by this award, and in reviewing the nominees and the winners over at /r/fantasy/, we’re doubly honored to see the company we’re in. Writing Excuses is something we do for the community of writers, and we’re delighted to know that people like it enough to give us (including Dan Wells) something really shiny and sharp. Delighted, if perhaps a little concerned.